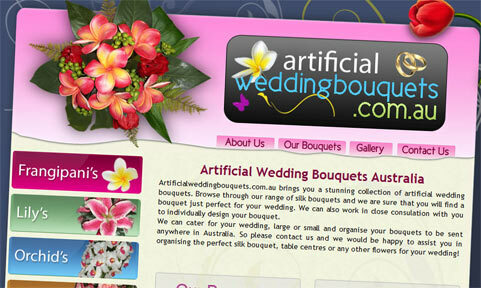 Adelaide Web Designs has launched the new Artificial wedding bouquets. They specialise in Artificial Wedding Flowers with various types of arrangements available. I am so happy with the site that Paul has designed for me! I am glad I discovered Adelaide Web Design, & appreciate all that time and effort… a job well done!! !